The U.S. Forest Service will appeal a federal court ruling that the agency acted “contrary to law” in approving a land exchange that would greenlight a massive resort on a remote mountain pass in Southwest Colorado. On Thursday, the U.S. Forest Service, through the U.S. Department of Justice, filed a notice of appeal with the 10th Circuit Court of Appeals. The developers of the proposed resort, Leavell-McCombs Joint Venture, also appealed in October. The notice of appeals the Forest Service submitted contained only a brief statement that it intended to protest the decision, so the reasons why are unclear. The federal agency has 14 days to submit a more substantial challenge. The U.S. Forest Service referred all questions to the Department of Justice. The Department of Justice declined to comment. In May, a senior U.S. district judge for the District of Colorado handed down a strongly worded decision that the U.S. Forest Service’s Rio Grande office’s approval of an access road to the proposed resort was invalid on many levels. Since the 1980s, Leavell-McCombs Joint Venture – headed by Texas billionaire B.J. “Red” McCombs – has attempted to build a massive resort on a remote mountain pass, adjacent to the Wolf Creek Ski area. However, the development has lacked road access. In 2015, Rio Grande Forest Service supervisor Dan Dallas approved a land exchange with Leavell-McCombs, which effectively granted the developers that access. In response, environmental groups and others opposed to the resort filed suit, claiming the Forest Service’s approval of the land swap short-changed the environmental impacts of the development, and was unduly influenced by McCombs. Judge Richard Matsch, responsible for that May decision, agreed. A motion was filed in September to reconsider this decision, yet Matsch upheld his determinations. “The Forest Service cannot abdicate its responsibility to protect the forest by making an attempt at an artful dodge,” Matsch wrote. 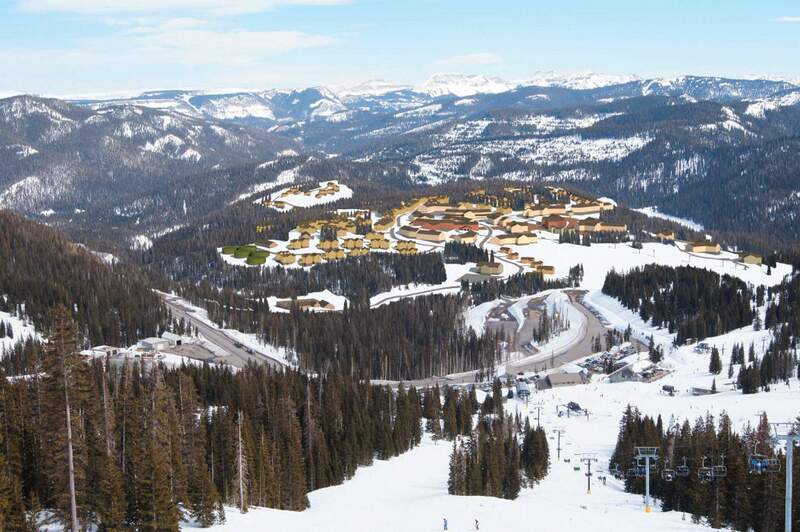 The proposed Village at Wolf Creek would have the capacity for an estimated 8,000 to 10,000 people on a mountain pass that is at an elevation of 10,000 feet and more than 20 miles from the nearest town. Those opposed to the resort have cited the impacts it would have on the environment, namely the headwaters of the Rio Grande River and the endangered lynx. Many opponents also point to the influence McCombs has had on the project. Emails obtained through a Freedom of Information Act request found Forest Service staffers admitted to the political pressure McCombs put on the agency to make favorable decisions for the developer. “I’m not surprised,” Matt Sandler, an attorney for Rocky Mountain Wild, which represents the environmental groups, said of the Forest Service appealing the May decision.